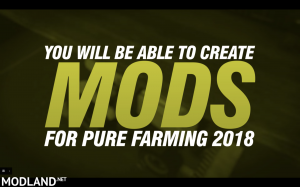 Pure Farming 2018 Will Support Modding! 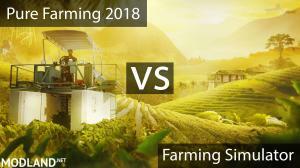 Welcome to the best Pure Farming 2018 game site! 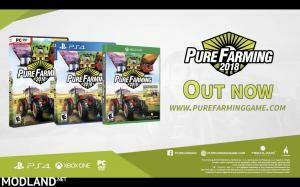 Pure Farming 2018 is yet another farming game that is expected to be released in 2018 for PC, PS4 and XBOX ONE. 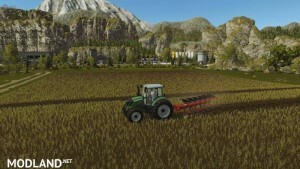 The game promises to provide some uniqueness by offering a "global" farming game. 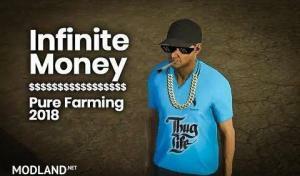 That means this game allows players to experience farming on different parts of the globe. 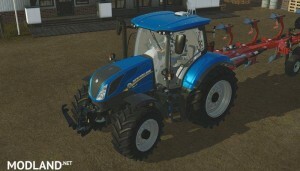 Farming on different regions is different, and this game allows to plant region-specific crops - something thats not usually seen in other farming simulation games. Also this game will provide very customised gaming experience with different game modes that will suit every type of player. Of course, experience could be taken to the next level, thanks to the Pure Farming 2018 mods that will be provided on our site. Stay tuned for more news and updates on this game! 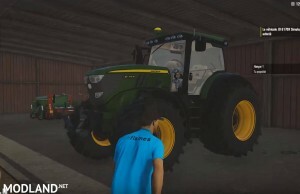 Pure Farming Simulator 2018 Modding: How It Will Be Done?